The silver lining to accent your silvering hair is that you have a few ways to at least reduce the tax burden on your pension income in Canada. You can save tax by simply being 65 years of age or older and you can claim a tax credit on the first $2,000 of certain types of your pension income. The age amount tax credit and the pension income amount tax credit are two of a number of non-refundable tax credits available to taxpayers. Non-refundable tax credits directly reduce the tax you owe — they don’t reduce your taxable income. Examples of tax deductions include RPP/RRSP contributions, child care expenses, and employment expenses. These credits are referred to as “non-refundable” because if they exceed your tax liability you don’t get a refund of the excess. With a tax credit, all taxpayers are subject to the same tax savings — no matter their income level. The tax savings from a tax deduction increases as your taxable income increases to be taxed in higher tax brackets. Non-refundable tax credit amounts differ from non-refundable tax credits in Canada. The non-refundable tax credit is the actual federal tax reduction — or tax savings — available. 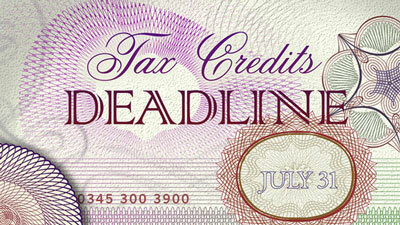 The amount of the tax credit is based on the non-refundable tax credit amount available to you. For all but one (the charitable donation tax credit) of the non-refundable tax credits, the federal tax savings is 15 percent of the non-refundable amount to which you’re entitled. You qualify for the maximum age credit amount of $6,720 for 2012 if you were 65 years of age or older on December 31, 2012. The age amount is entered on line 301 of schedule 1 of your tax return. The maximum federal tax savings is $1,008. Now for the bad news. Although the maximum credit amount is $6,720, it’s reduced by 15 percent of your net income (from line 236 of your tax return) in excess of $33,884. The age amount you’re able to claim is reduced as your income exceeds this level. If your net income in 2012 is $33,884 or less, you’ll be able to claim the maximum age amount. You’re not entitled to any age amount in 2012 if your net income exceeds $78,684. The age credit amount will work out to zero. The lower your net income, the greater the tax savings of the age amount! To the extent possible, reduce your net income to maximize the age amount available to you — through income splitting, CPP sharing and pension splitting, and maximizing tax deductions through contributions to your own or a spousal RRSP. If your spouse/common-law partner does not need all or a portion of the age tax credit to reduce his or her federal tax to zero, the unneeded amount can be transferred to you for you to claim on your tax return. You can claim up to a $2,000 pension income credit amount if you report pension and/or annuity income on line 115 or line 129 of your tax return. The maximum federal tax savings is $300. Unfortunately, you can’t be too quick in assuming you’re entitled to the full $2,000 pension income amount! Only pension or annuity income you report on line 115 or 129 qualifies for the pension income credit amount. Amounts such as Old Age Security (OAS) benefits, Canada/Quebec Pension Plan (CPP/QPP) benefits, Saskatchewan Pension Plan payments, death benefits, and retiring allowances do not qualify for the pension income amount. Non-annuity RRSP withdrawal income similarly does not qualify for the pension amount. If you’re age 65 or over but do not have sufficient pension income to qualify for the full credit (that is, your eligible pension income is less than $2,000), you can create pension income by converting all or part of your RRSP (Registered Retirement Savings Plan) to an RRIF (Registered Retirement Income Fund) or a life annuity or you can simply purchase a life annuity with other available funds. The income from these investments is eligible for the pension income credit amount. Through pension income splitting you may be able to create eligible pension income for your spouse/common-law partner so that he or she also can take advantage of this $2,000 pension income credit amount. If your spouse/common-law partner does not need any or a portion of the tax savings from the pension income amount to reduce his or her federal tax to zero, the unneeded amount can be transferred to you for you to claim on your tax return. In undertaking CPP (Canada Pension Plan) sharing you and your spouse/common-law partner receive an equal share of the CPP retirement pension you both earned during the years you were together (not separated or divorced). If only one spouse/common-law partner is entitled to a CPP retirement pension, then the one CPP pension can be shared. Sharing your CPP does not increase or decrease the overall retirement pension to which you and your spouse/common-law partner are entitled. CPP sharing is simply undertaken to reduce the couple’s tax burden. To share your CPP retirement pension entitlements, you and your spouse/common-law partner must both be at least 60 years of age, and you must request that your CPP retirement pension be shared. The request is made on form ISP1002, “Application for Pension Sharing of Retirement Pension(s) Canada Pension Plan.” You can download the form from the Service Canada website or pick one up at a Service Canada Centre. After the application is accepted, the CPP retirement pension cheques (or direct deposit) sent to you and your spouse/common-law partner will reflect the CPP sharing, as will the T4A(P) slip, “Statement of Canada Pension Plan Benefits,” you receive at the end of each year to use in completing your tax return. The Quebec Pension Plan (QPP) also contains provisions for sharing. However, different eligibility requirements apply than with the CPP. It’s best to contact Régie des rentes du Québec (or toll-free at 1-800-463-5185).